Sunset Screens & Shades is an authorized StowAway Retractable Screen, ClearView Retractable Screen, Insolroll Solar Shades & Qmotion Advanced Solar Shades Dealer in Santa Rosa, serving all of Sonoma County and Marin County. We specialize in custom, high quality retractable screens, Solar shades (roller shades), Shutters & Window Coverings. Our retractable screens are made in California built with the highest quality materials, featuring our Slow Close speed reducers... eliminating the screen from snapping back. ​Our Insolroll Solar Shades (roller shades) are made in the USA. We offer hundreds of options in fabrics/colors/styles and have something for most applications. We offer Solar Shading from 86% all the way to 100% Blackout Shades, Translucent Shades, Shades of Green Eco-friendly Solutions, including PVC-Free Shading Fabrics, Energy-Efficient SilverScreen™ & EnviroScreen Shades. Our prices are comparable to the chain stores, except we offer custom sizing and installation. Founded in 2004 as a Dealer for Phantom Screens, today, we no longer sell the Phantom Brand, but feature a far superior line of screens, such as StowAway & Clear View Retractable Screens which feature NON-SLAM speed reducers. Over the years, we have added to our product line to offer you multiple options for your screen & shading needs. We are proud members of the Sonoma County Go Local Cooperative and based in here in Santa Rosa. If you would like a general quote, please contact me via phone or e-mail. It is helpful to include the type of opening (i.e. 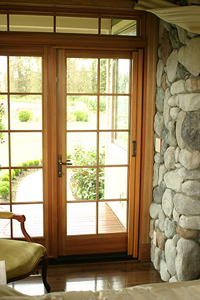 Double French, Sliding Patio Door, Entry Door, Window, etc. ), the approximate dimensions and the city where the project is located. I will return all phone inquires by the next business day and e-mail inquires within 24 hours. Thank you for visiting sunsetscreens.com. Sonoma County - including Annapolis, Agua Caliente, Bloomfield, Bodega, Bodega Bay, Boyes Hot Springs, Camp Meeker, Cazadero, Cloverdale, Cotati,Duncans Mills, El Verano, Eldridge, Fetters Hot Springs, Forestville, Fulton, Geyserville, Glen Ellen, Graton, Guernville, Healdsburg, Jenner, Kenwood, Larkfield, Monte Rio, Oakmont,, Occidental, Penngrove, Petaluma, Rio Nido, Rohnert Park, Santa Rosa, Sebastopol, Sonoma, Stewarts Point, Sea Ranch, Valley Ford, Villa Grande, Vineburg, Wikiup & Windsor. Marin County - including Bel Marin Keys, Belvedere, Belvedere-Tiburon, Bolinas, Corte Madera, Dillon Beach, Fairfax, Forest Knolls, Greenbrae, Ignacio, Inverness, Kentfield, Lagunitas, Larkspur, Lucas Valley, Marin, Marinwood, Marshall, Mill Valley, Muir Beach, Nicasio, Novato, Olema, Point Reyes Station, Ross, San Anselmo, San Geronimo, San Rafael, Sausalito, Strawberry, Sleepy Hollow, Stinson Beach, Terra Linda, Tiburon, Tomales and Woodacre. 94515. 94922, 94923, 94926, 94928, 94931, 94951, 94952, 94954, 94972, 94999, 95401, 95403, 95404, 95405, 95407, 95409, 95412, 95421, 95425, 95436, 95439, 95441, 95442, 95444, 95446, 95448, 95450, 95452, 95462, 95465, 95472, 95476, 95480, 95492, 94927, 94953, 94955, 94975, 95402, 95406, 95416, 95419, 95430, 95431, 95433, 95471, 95473, 95486, 95487, 95497, Marin County... 94901, 94903, 94904, 94920, 94924, 94925, 94930, 94937, 94939, 94940, 94941, 94945, 94946, 94947, 94949, 94956, 94960, 94965, 94970, 94974, 94912, 94913, 94914, 94915, 94929, 94933, 94938, 94942, 94948, 94950, 94957, 94963, 94964, 94966, 94971, 94973, 94976, 94977, 94978, 94979, 94998.